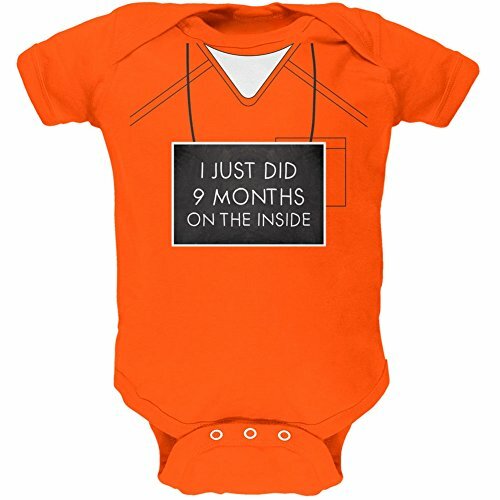 Perfect for brand new October babies for Halloween. This Old Glory design is printed on a high-quality 100% cotton, soft, short sleeve baby one piece with a snap closure. Featuring a little chalk sign that says "I just did 9 months on the inside". 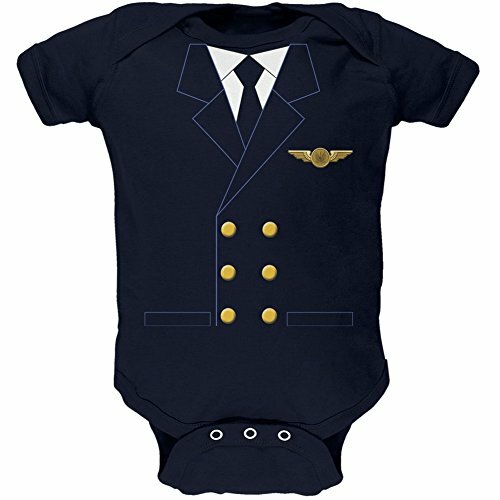 Fulfill your lifelong fantasy of being a pilot this Halloween with this great pilot costume. This Old Glory design is printed on a high-quality 100% cotton, soft, short sleeve baby one piece with a snap closure. 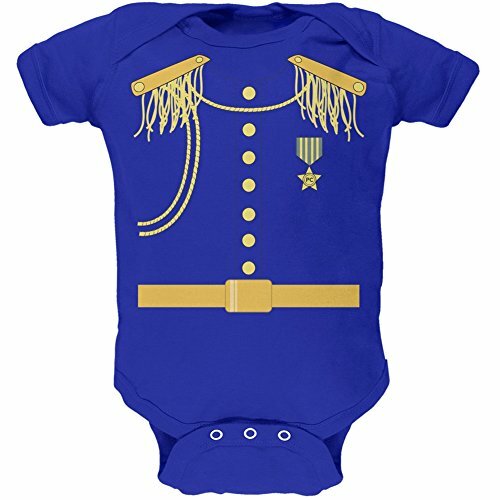 Play up your fairy tale good looks in this royal blue , 100% cotton, soft, baby one piece with a classic Prince Charming costume print on the front. Also useful for those too often mistaken for frogs. Hop around in these Slim Fit Bunny One Piece Pajamas by Silver Lilly! Crafted from ultra-soft 100% polyester, this comfy bodysuit pairs adorable animal designs with a sleek silhouette, for a cozy costume that's perfect for play. Intricate detailing on the head and body bring this adorable character to life, with stitched in eyes and ears for added effect. Two side pockets are convenient for storing your phone, wallet or other must-haves, and zip closed so nothing gets lost. The slim fit design provides the same amount of coverage and warmth without restricting movement, so you can sleep, dance or play as you please. The zip front closure makes getting dressed a breeze, and stays securely closed for comfort. 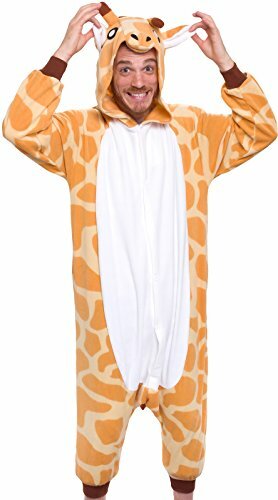 Whether you wear it to bed or to the bar, you'll love how these slim fit animal pajamas make you feel! For best results hand wash, lay flat to dry, and iron on low heat if needed. Multiple sizes available. 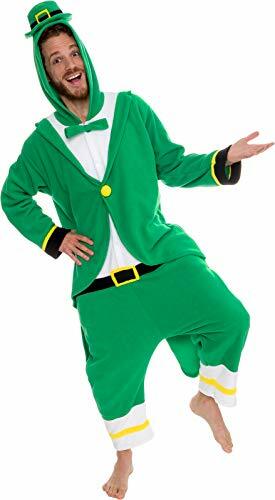 Channel the luck of the Irish when you wear this Leprechaun One Piece Pajama Costume by Silver Lilly! Crafted from ultra-soft 100% polyester, this cozy bodysuit will be a hit at any party, bar crawl, or sleepover. Each pajama set is chock full of little details, from the cuffs to the belt and bow tie, and is topped off with a hood featuring the leprechaun's jaunty and iconic cap, bringing this legendary character to life. Two front pockets are included and are convenient for storing your earplugs, phone or wallet. The loose fit is comfortable and won't restrict your movements, giving you the freedom to sleep, dance or perform as you please. Perfect for St. Patrick's Day or if you're just feeling a little mischievous, the Silver Lilly Leprechaun Pajamas will make you feel like you've found your pot of gold! For best results hand wash, lay flat to dry, and iron on low heat if needed. Multiple sizes available, see size chart for details. Dress to impress in these Plush Corgi Animal One-Piece Pajamas from Silver Lilly. Crafted from ultra-soft 100% polyester, this cozy bodysuit will be a hit at any party, cosplay event, or pajama sleepover. Intricate detailing on the head, body, and tail bring this character to life, so you'll be the life of the party. Two front pockets are included and are convenient for storing your eye mask, earplugs, phone or wallet. The loose fit is comfortable and won't restrict your movements, giving you the freedom to sleep, dance or perform as you please. For best results hand wash, lay flat to dry, and iron on low heat if needed. Multiple sizes available, see size chart for details. http://halloweenbabycostumes.net Four "real" babies dressed in adorable animal costumes. Little Monkey. Skunk. Chicken and Tiger (Tigger) costume. 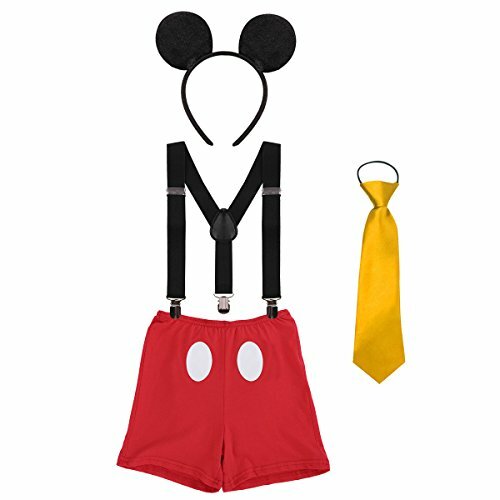 Check out halloween baby costumes dot net for more toddler & infant costume ideas. Many animal costumes, Tom Arma style for your newborn/infant. Happy Halloween 2010!